Originally made in the late 19th century, these marbles were found on the banks of the River Thames by a professional 'Mudlark'. 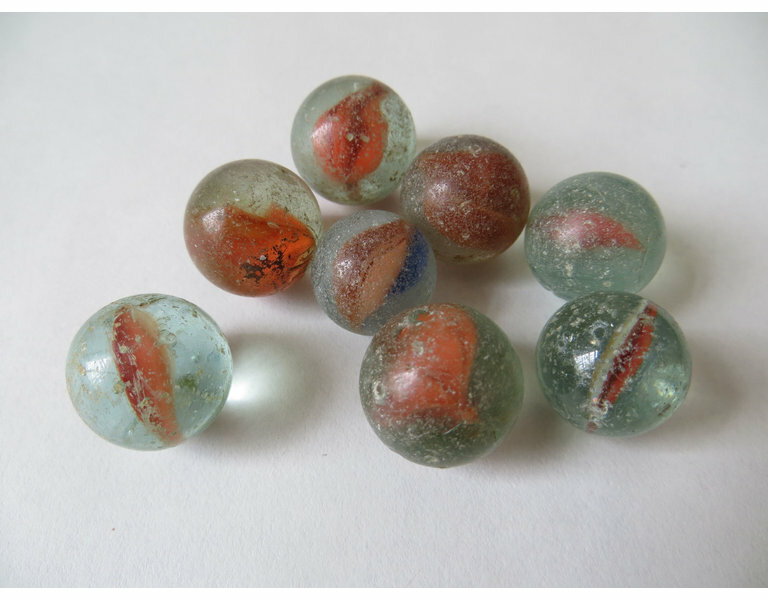 This set consists of eight clear glass marbles, six with orange internal swirls, and two multicoloured internal swirls. These 8 marbles are all made from clear glass and all have unique orange swirls inside. Four of them have large swirls, two have small swirls, and two have small multicoloured swirls. 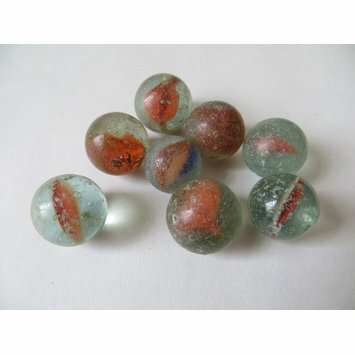 The surfaces of the marbles are chipped, scratched, and generally worn, presumably from play. Diameter: 1.4 cm smallest marble approx., Diameter: 1.6 cm largest marble approx.